Collins Street is a major street in the centre of Melbourne, Victoria in Australia. It was laid out in the first survey of Melbourne, the original 1837 Hoddle Grid, and soon became the most desired address in the city. Collins Street was named after Lieutenant-Governor David Collins who led a group of settlers in establishing a short-lived settlement at Sorrento in 1803. The eastern end of Collins Street has been known colloquially as the 'Paris End' since the 1950s due to its numerous heritage buildings, old street trees, high-end shopping boutiques, and as the location for the first sidewalk cafes in the city. Blocks further west centred around Queen Street became the financial heart of Melbourne in the 19th century, the preferred home of major banks and insurance companies, a tradition which continues today with the most prestigious office blocks and skyscrapers found along its length. As laid out by the surveyor Robert Hoddle, it was exactly one mile in length and one and half chains (99 feet (30 m)) wide. The street was named for Lieutenant-Governor David Collins who led a group of settlers in establishing a short-lived settlement at Sorrento on the Mornington Peninsula, south of Melbourne, in the early 19th century. He subsequently became the first governor of the colony of Van Diemen's Land, later to become the state of Tasmania. At the western end of the street was Batman's Hill, named for the Tasmanian adventurer and grazier John Batman, who built a house at the base in April 1836, where he lived until his death in 1839. The first major street improvements were carried out in the mid-1850s, including bluestone curbs and gutters, and the introduction of gas lighting in 1855. The first street trees were elms, planted in 1875. A cable tram line was laid in 1886 and was operational until 1930 when it was electrified. Throughout the late 19th and early 20th centuries, the top end of Collins Street, known as Collins Street East, was dominated by the rooms of medical professionals. The prestigious Melbourne Club was a dominant cultural presence after its founding in 1838. Collins Street was also the location of Grosvenor Chambers (9 Collins Street) which was Australia's first custom designed studio complex, and was used by many prominent Australian artists. With the development of the suburbs, the doctors residences along Collins Street East (now known as the 'Paris End'), which were set back from the street by substantial gardens, the doctors offices were relocated and shopfronts were built in place. Around the turn of the 20th century "doing the Block," or walking around in one's finest clothing to be seen, became a pastime for shoppers at the Block Arcade in the retail heart of Collins street, between Elizabeth and Swanston Streets. During the 1950s and 1960s, the street became subject to extensive redevelopment and many historic buildings were demolished by Whelan the Wrecker, despite the efforts of the National Trust and the "Save Collins Street" group. While some examples of boom style architecture survive, the grandest examples were lost to the wrecker's ball. Of the major losses, the most significant were the large Victorian buildings including the Federal Coffee Palace, Colonial Mutual Life building, Robb's buildings, Queen Victoria Buildings, City of Melbourne Bank, Scott's Hotel, Melbourne Mansions and APA building. Many of the buildings destroyed in this era were documented by architectural photographer Mark Strizic and can be found in the archives of the State Library of Victoria. One of the most popular public art statues in Melbourne, Larry La Trobe created by artist Pamela Irving, faces Collins Street from the northern end of Melbourne City Square. The facade of the Collins Street Bank of New South Wales was relocated to become the University of Melbourne Commerce building. Between 2003–05, Collins Street was extended west beyond its previous termination at Spencer Street, starting with the opening of the bridge over Southern Cross station and Wurundjeri Way on 18 December 2002, with the street ending outside the new ANZ and Myer headquarters further in the Docklands development. It has since been extended further west to create an intersection between Bourke Street and Collins Streets, two of Melbourne's most important streets. As Melbourne's commercial and former shopping centre, Collins Street possesses some of Melbourne's best examples of Victorian architecture. Large churches include the Collins Street Baptist Church (1845), the St Michael's Uniting Church (1866) and the Scot's Presbyterian Church (1874). Significant commercial buildings include Alston's Corner (1914) by Nahum Barnet is an excellent surviving example of Edwardian architecture, while the Block Arcade by D.C Askew (1893) is an excellent example of high Victorian mannerist architecture. Towards the financial end are some great examples of high Victorian gothic architecture or "Cathedrals of Commerce". They include William Pitt's Venetian Gothic style Old Stock Exchange (1888), William Wardell's Gothic Bank (1883) which features some of Melbourne's finest interiors and A.C Goode House designed by Wright, Reed & Beaver (1891). The old Commercial Bank of Australia Limited domed Chamber exists within the post modern 333 Collins Street tower. It was designed by Lloyd Tayler and Alfred Dunn and built in 1891. Some of Australia's tallest buildings are along Collins Street, including the Rialto Towers, Collins Place towers 1 & 2, Nauru House, 120 Collins Street and 101 Collins Street and ANZ World Headquarters (at 380 Collins Street, which is integrated into the old Stock Exchange and Gothic Bank). The Bank of New South Wales Melbourne building, completed in 1857, earned architect Joseph Reed a first prize in architecture. When the building was demolished in 1935, the facade was transplanted to the University of Melbourne in Parkville to become the Commerce Building. It is now retained on the facade of the new building being constructed for the Faculty of Architecture, Building and Planning. Collins Street is Melbourne's premier shopping street and retailers with flagship stores there include: Prada, Louis Vuitton, Emporio Armani, Tiffany & Co, BVLGARI, Giorgio Armani, Dior, Bottega Veneta, Ralph Lauren, TAG Heuer, Paspaley, Cartier, Gucci, Ermenegildo Zegna, Burberry, Bally, Coach, Max Mara, Hermès, Dolce & Gabbana, Christian Louboutin, Versace, Berluti, Chopard, Tom Ford, Hugo Boss, Van Cleef & Arpels, Omega, Georg Jensen, Paul Smith, Thomas Pink, Stuart Weitzman, Longchamp, Lloyd, Wolford, Montblanc, Franck Muller, Harrolds. Major shopping centres include Collins Place, Block Arcade, Georges on Collins, St Collins Lane, Collins 234, and Centreway. Tea house storefront of Hopetoun on Collins Street displaying cakes and pastries. Two theatres, the Athenaeum and Regent theatres, are both located on Collins Street. These theatres host Australian and international productions and live performances throughout the year. There are many hotels located on Collins Street, with major hotels including the Sofitel Melbourne on Collins, The Grand Hyatt Melbourne, The Westin Melbourne, Novotel Melbourne on Collins and the InterContinental Melbourne at Rialto. The Melbourne Club, a prestigious private social club established in the 19th century is located in renaissance revival style buildings designed by Leonard Terry and built in 1845. The Reserve Bank of Australia's Victorian branch is located on Collins Street. Its 1960 buildings were once the national office for the bank. Similarly, most global investment banks with a presence in Melbourne, such as Goldman Sachs and Lazard, have their headquarters located on Collins Street. The majority are located within the prestigious 101 Collins Street, contributing to the reputation that Collins Street enjoys to this day. Collins Street has been a popular stop over for local ghost tours, with a number of apparent sightings especially around the historical Docklands area. Yarra Trams routes 11, 12, 48 and 109 run down Collins Street through the city centre, mainly to terminuses in Melbourne's eastern suburbs, Port Melbourne and the Docklands precinct. Collins Street is also served by Parliament railway station in the east and Southern Cross railway station in the west. ^ a b c Melbourne, School of Historical Studies, Department of History, The University of. "Collins Street - Entry - eMelbourne - The Encyclopedia of Melbourne Online". www.emelbourne.net.au. Retrieved 14 January 2017. ^ "Batman, John (1801–1839)". Australian Dictionary of Biography, Online Edition. adb.online.anu.edu.au. Retrieved 6 July 2008. ^ Annear, Robyn (2005). A City Lost and Found: Whelan the Wrecker's Melbourne. Black Inc. p. 363. ISBN 978-1-45967-670-1. ^ "Doing the block, Collins St | Ergo". ergo.slv.vic.gov.au. Retrieved 15 January 2017. ^ "Photo essay: A look at glorious Melbourne buildings that were demolished". Retrieved 15 January 2017. ^ Annear, Robyn (2005). A city lost & found : Whelan the Wrecker's Melbourne. Black Inc, Melbourne. ISBN 1863953892. ^ "Operations". Newsrail. Australian Railway Historical Society. January 2003. p. 25. ^ "Melbourne School of Design unveiled". ArchitectureAU. Retrieved 15 January 2017. ^ "PRADA Australia flagship store Collins Street > Shopping". Fashionising.com. 15 April 2008. Archived from the original on 11 March 2012. Retrieved 29 January 2012. ^ "Collins Street Precinct – Home". Collinsstreet.com.au. Retrieved 29 January 2012. ^ "Collins Street and Little Collins Street, Melbourne". Visit Melbourne. Tourism Victoria. Retrieved 25 July 2011. ^ "Tiffany & Co. | Tiffany Jewelry Store | Melbourne Collins Street | Australia". Au.tiffany.com. Retrieved 29 January 2012. ^ "Bvlgari opens flagship in Melbourne". Jewellery World. 30 September 2011. Retrieved 29 January 2012. ^ "store+makeover,1238". Vogue.com.au. Retrieved 29 January 2012. ^ "TAG Heuer Melbourne – 330 Collins Street Melbourne, Victoria – TAG Heuer Australia". Tagheuer.com.au. Retrieved 29 January 2012. ^ "Cartier Australia flagship store Collins Street > Shopping". Fashionising.com. 15 April 2008. Retrieved 15 February 2012. ^ Safe, Georgina (16 June 2010). "Tom Ford's single outlet". The Australian. ^ You Are Here (15 January 2017). 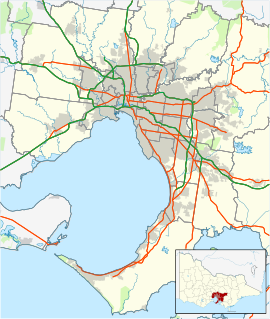 "Inner Melbourne - Precinct and Transport Connections". www.youareheremaps.com.au.